Somewhere in the south-central Dominican Republic, on a stretch of land in a town called Villa Altagracia, sits a unique little clothing factory. The unassuming building, with its white walls and gable roof, houses a grand experiment. The laborers inside make more than three times the country's minimum wage. Workplace safety standards are high, and the plant is monitored regularly by an independent labor-rights group with unfettered access. The workers are making clothes for Alta Gracia, a collegiate-apparel brand trying to prove that garment factories don't have to force laborers to work endless hours in sweatshop conditions for rock-bottom wages. The brand can still make a profit even if it pays workers a living wage -- that's the theory, anyway. For years, apparel companies have hopscotched the world in a perpetual quest to chase cheap labor and keep costs down. Conventional wisdom would assume Alta Gracia is doomed to be crushed by cheaper competition. But four years after its inception, Alta Gracia's business is "proving to be viable," according to a new report from researchers at Georgetown University. The factory is a godsend to labor-rights activists, who have long ached for hard proof that you don't have to exploit workers to turn a profit. "If we can get every factory in the industry to be like this, I would retire," Scott Nova, executive director of the Worker Rights Consortium, the rights group that monitors the Alta Gracia factory, told The Huffington Post. "There would be very little left for labor-rights activists to do in the garment sector." Owned by South Carolina-based Knights Apparel, one of the top licensees of college-logo apparel in America, Alta Gracia raked in about $11 million in sales in 2013 with its assortment of college-branded sweatshirts and T-shirts. Now sold at more than 800 college campuses across the U.S., the brand expects to hit $16 million in sales this year, though it's still just a tiny part of the $4.6 billion college-licensed merchandise market. Joe Bozich, chief executive of Knights Apparel, said in an interview with HuffPost that the factory is on track to break even this year. He expects it to be profitable for the first time in 2015 and is "absolutely convinced" that Alta Gracia will keep growing. "It is working," said Bozich. "Four years ago, when we started this, nobody knew. Nobody's ever tried what we're doing with an apparel factory." According to the Georgetown report, Alta Gracia is "transitioning from a fragile startup to a stable firm." Thus far, the brand has been held back by a lack of marketing, said Georgetown professor John Kline, a co-author of the report. Early on, as an unknown name, Alta Gracia relied on colleges to take a leap of faith. The first college to jump on board was Duke University, which started selling Alta Gracia clothes in the fall of 2010. Before the factory opened, Duke committed to an opening order of about $500,000 at retail. Fortunately, it worked out. "We stuck our necks out and we're still breathing," said Jim Wilkerson, director of trademark licensing and stores operations at Duke, who added that he plans to continue to do business with Alta Gracia. The college has sold about $1.62 million worth of Alta Gracia merchandise since 2010, and the brand now accounts for about 7 percent of Duke's total clothing revenues. Bozich has ambitious plans for Alta Gracia. He wants to hire more people at the Dominican Republic factory, then duplicate the model in other countries like Haiti and Bangladesh. He has his eye on professional sports, having recently signed a deal with the National Hockey League, and sees an opportunity to get into corporate apparel and uniforms. "Consumer demand will dictate how big this becomes," said Bozich. "The real question becomes, as we expand into professional sports apparel, that'll be our first test ... Will they want to buy it?" The factory workers certainly hope so. Maritza Vargas, a 49-year-old union leader with 25 years of experience working in local factories, works a variety of jobs at the Alta Gracia factory, including sewing seams on sweatshirts and putting on labels. A regular day at the factory is nothing like what she's experienced before, she told HuffPost. Vargas and her 150 or so colleagues are unionized. They're not forced to work absurd hours, her overtime paychecks don't disappear into the ether and she gets frequent breaks. "It's as simple as understanding that we're human beings, not machines," Vargas said through a translator. In free-trade zones of the Dominican Republic, the minimum monthly wage is set at RD $7,200, or about $165 in U.S. dollars. 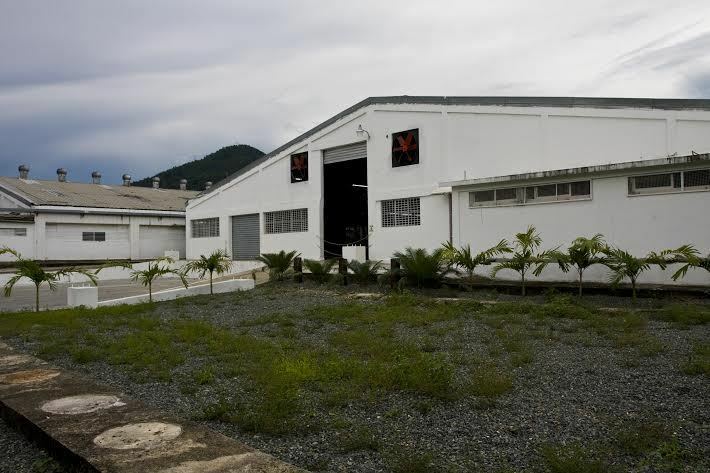 Alta Gracia factory workers earn a monthly wage of RD $22,342, or about $514 U.S., according to numbers provided by the company's plant manager. 36-year-old Sobeida Fortuna, who has worked in free-trade-zone garment factories for about 18 years, said she's finally being treated with "respect" and "dignity" after getting her job at Alta Gracia. "They would force me to work mandatory overtime hours," she said of previous employers. "I'd work in uncomfortable chairs and positions. They would control my every movement, even monitor the times I used the bathroom or drink water." Still, these people need somewhere to work. Fortuna paused to think when asked what she'd be doing if she didn't have her Alta Gracia factory job. "We'd maybe be unemployed," she said. "We'd maybe be working three hours away from home. We'd maybe be working at another factory with the same conditions as the previous factories. We work in those conditions because it's all that's around and we have a family. We have no other choice." 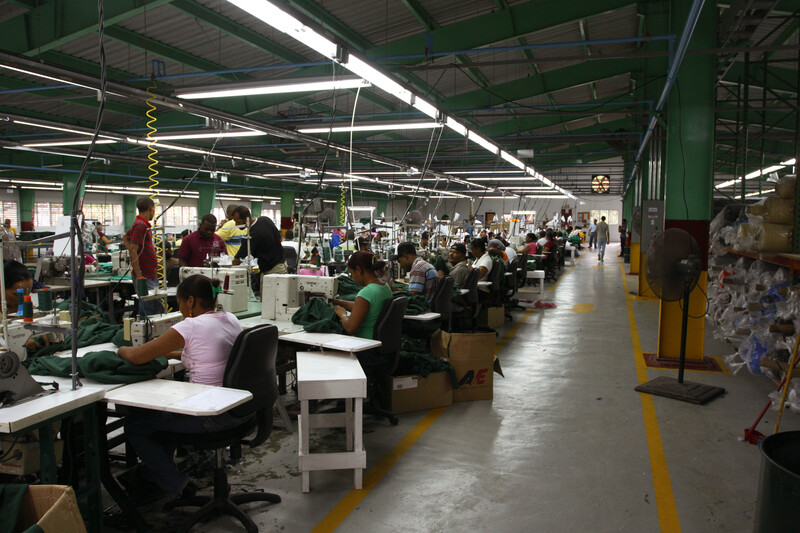 CORRECTION: An earlier version of this article misstated the minimum monthly wage in free-trade zones of the Dominican Republic, as well as the monthly wage that Alta Gracia factory workers earn.